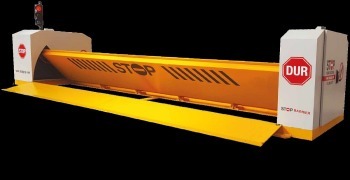 Stop Group is well-known manufacturer of Hydraulic and Pnemautic rising bollards for 7 years. After expansions to US it gained a rightful vision in governmental institutions and offices. The latest invention (with patent) electromagnetic rising bollard has created an enormous attention specially in GCC countries for its new technologies and supplied high efficiency security degree and measures.